CBD oil is the hot new health and wellness trend captivating America because of its beneficial functions to our brain’s endocannabinoid system, but what do you look for in CBD oil and how do you find the best CBD oil brand? We have outlined what to look for and which brands to buy, so you can have the best bang for your buck! Full spectrum CBD oil is CBD oil plus other minor cannabinoids and sometimes terpenes that combine to formulate an “entourage effect,” commonly believed to provide more therapeutic benefit can just CBD oil. CBD isolate is the isolated CBD compound at 99.7% purity. It is more processed because the CBD oil must be removed from the extract and formulated into a crystalline substance. CBD isolate is beneficial if anyone is common drug tested, particularly if the drug test monitors the concentration of “marijuana metabolites” in nanograms. Concentration of CBD oil for the entire bottle is commonly referenced on the front of the label, usually next to the container size, and is provided in milligrams (mg). The concentrations that range from 100mg to 3000mg of CBD oil are often found which may be CBD and other minor cannabidiol. The concentration per serving is normally recorded on the supplement or nutritional facts panel, and sometimes that is referred to as CBD oil, hemp extract or PCR. CBD oil of 100mg is a very low quantity and sometimes you will find the price of it on the market is over high, so be careful to what you pay for. Normally, a tincture will be a 1-ounce bottle, but sometimes you can find bottles that are 2oz or more. This can complicate the concentration, particularly because there are no standards for labeling in the industry. It is important to consider the size of the bottle when reading the concentration. A 3000mg 2 oz bottle of Full Spectrum CBD Oil would actually be 1500mg per oz, making each serving approximately 50mg of CBD oil and other minor cannabidiol. Similarly, a 500mg 2 oz bottle of Full Spectrum CBD Oil would only be 250mg per 1 oz, making each serving approximately 8mg of CBD oil and other minor cannabinoids. This is very important when determining the price per mg. Unfortunately, there are scammers on the market that are taking advantage of the high price of CBD oil, but we are here to tell you — consider the price per mg of CBD oil. Currently, market prices are anywhere between $0.06 and $0.15 per mg of CBD oil. Don’t pay $40 for 100mg of CBD oil. The company is ripping you off! When a company has a higher price tag for their CBD oil, consider the company — are they vertically integrated or are they sourcing it from Europe? If they are vertically integrated, it is likely their prices will be a little higher than a company sourcing from Europe. Quality is key in the CBD oil market, especially with the high prices of CBD. 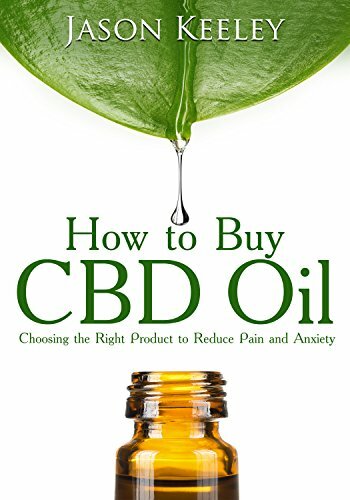 The last thing you want is to pay $60 for what you think is CBD oil but is really just cold-pressed hemp oil (commonly found on Amazon). When shopping, look for third-party verified CBD products. At Healthy Hemp Oil, we’re dedicated to informing and educating you. Along with in-depth guides and blogs, we’re happy to provide the latest scientific studies and research on CBD. However, some of the most knowledgeable about CBD are other users just like you. From CBD oil and tinctures to topical treatments to vape liquids, the landscape of products can be difficult to navigate. Reviews give you the information you need, straight from the people who regularly use it. No scientific jargon, no overt marketing terms. 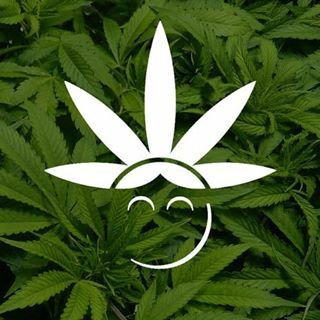 These reviews offer simple, usable information about what people liked, what they didn’t, and how certain CBD products might fit into your life. That’s why we’ve created this CBD oil reviews page; it’s our way of showcasing our ever-growing list of satisfied customers. We hope it gives you insight into how people just like you are using hemp oil products and why they are enjoying CBD oil. That way, you can make the very best decision for yourself. So, whether you are looking for RSHO reviews, Cibdex reviews, Dixie Botanical reviews or just plain old CBD oil reviews, we’ve got you covered. Also, where possible, we have linked to the product purchased by the customer, so you can click through and learn more. Why we love Natural Hemp Oil! Natural Hemp Oil’s vibrant design portrays a happy and warm feeling. The company chose orange to stand out among all the green, and they chose correctly. Like as the quality and attention-to-detail in the design of the brand, the quality is no different, which makes Natural Hemp Oil stand out as one of the best CBD oil brands. Natural Hemp Oil ensures third-party laboratory testing through Pro-Verde labs for cannabinoids and terpene profiles, plus contaminants. Natural Hemp Oil is a Kentucky-based company that works directly with local farmers and processors to ensure their 100%* hemp product (*not including the flavoring) is top quality Kentucky CBD oil. The brand has a limited line of products, with only two human products and one pet product, but on Anavii Market, Natural Hemp Oil has received outstanding reviews as one of the best CBD oils for anxiety and one of the top CBD oils for pain relief. Why we love Ananda Hemp! From all six habitable continents including the depths of fields, forests, and riverbanks. Like Phil, Ananda Hemp thinks industry first. Since 2014, Ananda Hemp has been at the forefront in regulatory battles and standards development. The company’s immaculate, brand new $10 million facility in Cynthiana rejuvenated a farming economy in a small-town Kentucky town, which is also known for “Walking Dead.”Ananda Hemp also hosts Kentucky Hemp Days during Hemp History Week that features Kentucky’s hemp industry. The quality of their operations is apparent in the quality of their CBD oil, which is why we have ranked Ananda Hemp as one of the best CBD oil brands available. Ananda Hemp provides the result of third-party laboratory testing for cannabinoids and contaminants alongside a thick packet of compliance and company guidelines. And if you like their CBD oil, just wait until they release their hemp clothing line, Hemp Black. Why we love Plus CBD Oil! Plus CBD Oil is a well-oiled machine driven by hard-working employees who understand how to navigate the natural products industry. The brand has been at the forefront of the industry, paving grounds at Natural Products Expo West and East and has lead legislative lobbying efforts across the country, particularly in states with well-known rough regulatory problems, like Indiana. Plus CBD oil may import the raw material — CBD form Europe but they also try their best to give back to help communities within the US, like supporting non-profits organization, like Friends of Hemp, FFA, and sponsoring Hemp History Week. Plus CBD Oil delivers quality with their Seed-to-Sale supply chain and a large variation in product types. This brand is America’s top-selling CBD oil, breaking grounds into frontier markets which is why we chose it as one of the best CBD oil brands! Have you joined the evolution? Why we love Palmetto Harmony! Palmetto Harmony is not just your everyday CBD oil brand. Palmetto Harmony was named after the Founder, Janel Ralph’s daughter who suffers from lissencephaly, a rare genetic disorder causing severe seizures. After failed medications, Janel tried CBD oil for her daughter and found tremendous success, reducing her seizures and cutting her medication needs in half. Janel was happy with the results of her CBD oil but knew there were bad actors on the market, so Janel decided to launch her own CBD oil brand. And when it comes to processing and quality control, Janel keeps her daughter, Harmony, in mind guaranteeing the best CBD oil for users. Palmetto Harmony uses a unique bio-based extraction technique that is solvent-free and offers a wide range of products. The company also loves to provide donations and support for industry organizations to support the domestic hemp economy. Why we love Bluebird Botanicals! Bluebird Botanicals is a staple brand in the CBD oil space. They maintain consistency by offering 3 simple tinctures at a low concentration of 250mg or a high concentration at 6x the 250mg for a total of 1500mg. Their Classic blend is a 100% hemp blend with cold-pressed hemp oil and CBD Oil. 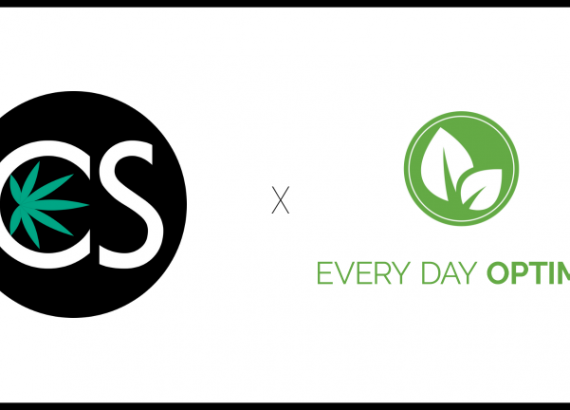 Their Signature blend is a fantastic combination of CBD oil, minor cannabinoids, and terpenes, and their Complete blend is a 50/50 CBD /CBDa blend, providing an effective means for consuming cannabidiol-acid, the raw form of CBD. Beyond their immaculate blends, the price is some of the best in the business and the company actively supports the domestic hemp industry lending the brand to our Best CBD Oil Brands Collection. Green Remedy is a vertically integrated CBD manufacturer from the heart of Kentucky. Their owners grow their own CBD and process them in greenhouses and also contract with farmers throughout the state, supporting the domestic economy. Their dedication to quality is understood in their passion for the products they provide and the industry as a whole. They not only maintain consistency in their products but also have a deep passion for environmental quality as well. They aim to reduce their carbon footprint by reducing packaging, reusing materials where appropriate and maintaining clean, chemical-free fields, giving way to becoming the best CBD Oil brand. I would like to get across my passion for your generosity for folks that should have guidance on this one topic. Your special dedication to getting the message around was extraordinarily helpful and has specifically made some individuals like me to attain their aims. This invaluable recommendations signifies much a person like me and substantially more to my peers. Thanks a ton; from everyone of us.